Last week, greyhound advocates gained momentum in Iowa when the Dubuque City Council announced it will ask lawmakers to remove a state dog racing mandate. There are currently two operational dog tracks in the state, and both have casino gambling. Under current law, these facilities are required to continue racing greyhounds in order to be operational. The law also requires that dog races be subsidized with millions of dollars in gambling profits each year; funds that could instead be used for state programs. In Dubuque, these funds would otherwise go to local non-profit organizations. 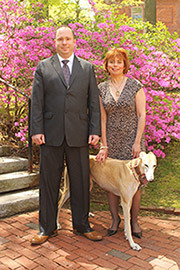 "Our family is greatly invested in our community and in the greyhound business ... It's kind of sad that they want to get rid of us now that they have slots." The irony here is incredible. The fact is, Brad Boeckenstedt is a perfect example of the problem. Just since 2009, his kennel has received at least $4.75 million dollars in purse payments. Virtually all of these funds come from subsidy dollars. Also, that total does not include some subsidy payments from 2010 that the state no longer has records for. Last year alone, Boeckenstedt received $1.26 million in purse subsidy payments. This is what the debate in Iowa has come to: a handful of greyhound breeders receiving millions in subsidies. Their spokesman for this bad public policy is the top recipient of subsidy dollars, a multi-millionaire greyhound breeder. Brad Boeckenstedt claims that he has "invested in our community," but in reality the state of Iowa has repeatedly invested in him, paying him millions for an activity that is no longer viable. It's time for the gravy train to end. Next Spring, lawmakers should put an end to these subsidy payments for millionaire greyhound breeders. Riding on the death of Greyhounds..nothing but shame and greed here. He should be putting that money back into the dogs but I bet he has got a real pretty house, car, plane, etc. and the dogs just have their cold, bare kennel. 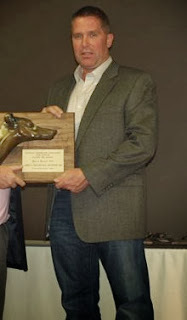 Is Boeckenstedt saying that he and his "family" had nothing to do with lobbying the Iowa state legislators back in 1995 to allow slot machines at Iowa racetracks in order to subsidize greyhound racing? Or in 2005, when they were allowed to have casino gambling tables for the same purpose, provided of course that they kept greyhounds running for their lives at money-losing racetracks? "They couldn't get slot machines without greyhound racing" he says, as if it were the racing industry that had done the casinos a great favour several years earlier. The reality is the reverse: The race tracks wouldn't be able to continue supporting the money-losing racing industry without a subsidy from slot machines and other forms of gambling revenue. The casinos owe no moral debt to the dog racers; but the dog racers owe a great deal to the casinos. Why are we still giving money to these creeps????? I am from a state that does not have greyhound racing and cannot wrap my head around this situation. We have casinos here and no dog racing is included and they give a big chunk of money to my state, county and schools. I agree these are a bunch of money grubbing creeps who build there lives on the backs of these poor greyhounds. Give em Hell Carey and Christine!